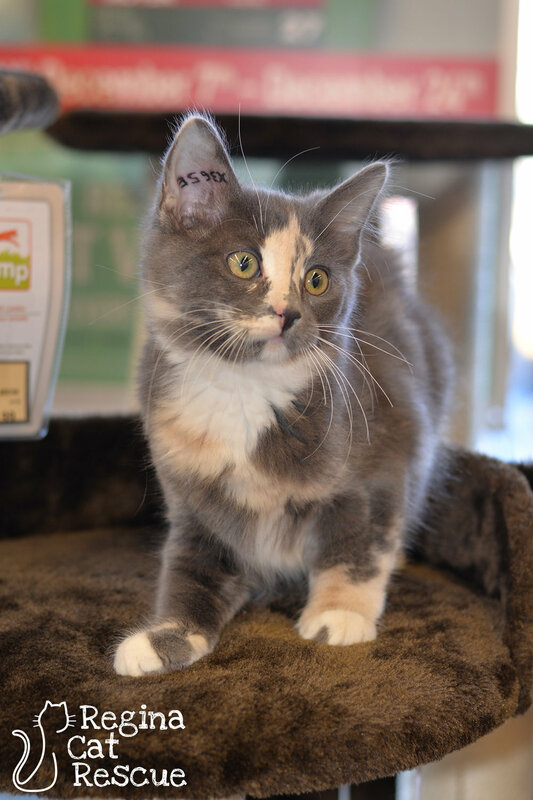 Peach is a pretty little Dilute Calico who came to RCR in a precarious situation. 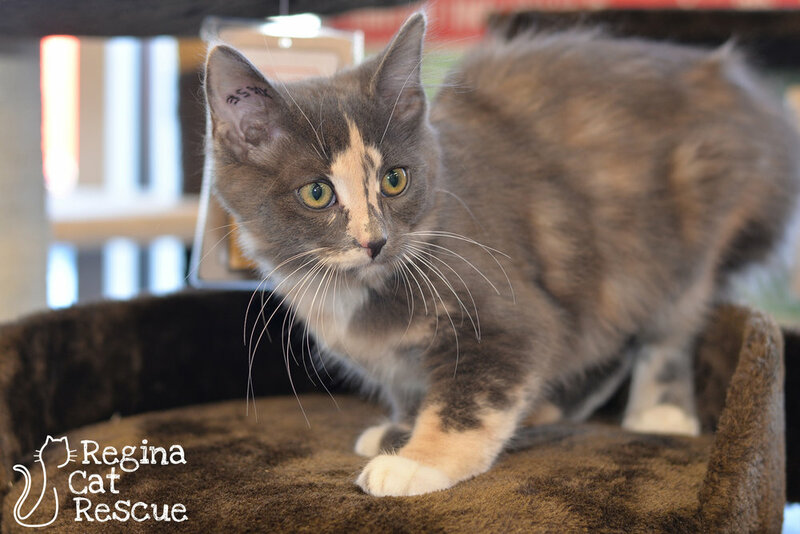 Peach and her siblings were orphaned suddenly when their mama was hit by a car. They were just a few weeks old and needed a qualified bottle feeder, which was arranged. Meanwhile, another young mama struggled with her labour and only birthed one stillborn kitten. The poor mama was confused and sad and kept searching for her kitten, and at the same time, the orphaned litter needed the love and care that a mama cat can provide. The mama immediately adopted the kittens and they thrived. Peach is a soft and sweet little girl that loves cuddles and is good with dog and cats. She has adapted well to a busy foster home with varying schedules but will receive lots of attention form her RCR friends over the holidays. She also has potential to be good with kids as well. If you are interested in Peach, click here to view our adoption contract and click here to complete an adoption application or email the RCR Adoption Coordinator at rcradoptions@gmail.com for more info.